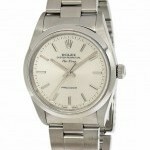 Case material: Steel; Charge: Automatic; Conditions: Used Presentation condition : With dealer guarantee ; Place: Usa, Boca Raton Model: Air-King Price on request Jewels in Time Reference: 14010M Near mint preowned mens Rolex Air-King (ref. 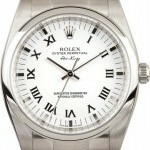 14010M; Y-series - 2002) in stainless steel features silver dial. 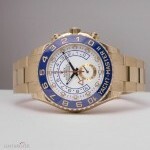 Retail: $5,050. 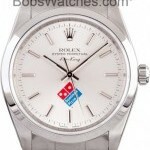 Case material: Steel; Charge: Automatic; Conditions: Used Presentation condition : With boxes and all papers; Place: Usa, Boca Raton Model: Air-King Price on request Jewels in Time Reference: 14000 Near mint preowned mens Rolex Air-King (ref. 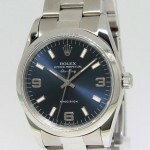 14000; U-series - 1997-1998) in stainless steel features blue dial. 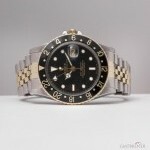 Case material: Steel; Charge: Automatic; Conditions: Never worn Year : 2012; Presentation condition : With dealer guarantee ; Place: Usa, Huntington Beach Model: Air-King $ 3780 BobsWatches Reference: 114200 Manufacturer: Rolex Model Name/Number: Air-King 114200 Serial/Year: Random - 2012 or newer Grade: (What's This?) 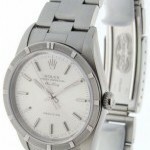 II Gender: Men's Features: Automatic movement, scratch-resistant sapphire crystal, waterproof screw-down crown Case: Stainless steel w/ smooth bezel (35mm), inner reflector ring engraved w/ serial number Dial: White w/ Roman hour markers Bracelet: Stainless steel Oyster w/ Glidelock clasp Box & Papers: Original Rolex box, books, and papers (warranty card) Comments: This Rolex Air-King comes w/ Bob's 3-day satisfaction guarantee and one year warranty Rolex Air King 114200 Buy a Rolex Air King 114200. 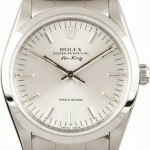 Originally, the history of the Air King stems from the popularity of British RAF pilots in the 1930´s. 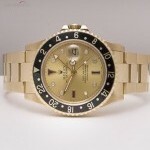 Since then the style and prestige has stayed with the Rolex watch name. 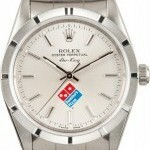 The Air King is simple, beautiful and worth every penny. 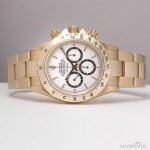 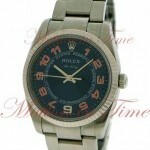 When you buy a Rolex watch you know that you have something that is both an investment and a fashion statement. 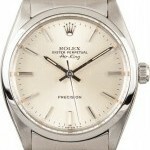 This Rolex Air King 114200 is one of the most sought after Rolex Watches on the market.